The TS297WL Extreme Christmas tree stand with it's 4 steel legs allows it to support up to a 14' tall tree. Constructed of heavy-duty 12 gauge steel, this stand will last you lifetime. The TS297WL stand features the patented "Circle Piece" Centering System! •Circle attaches to bottom of tree trunk, then place tree in stand •Circle assures that tree is perfectly centered and secure in stand •Tree can then be easily rotated around in stand before securing bolts •Quick and easy to use, and assures a perfectly straight tree every time! 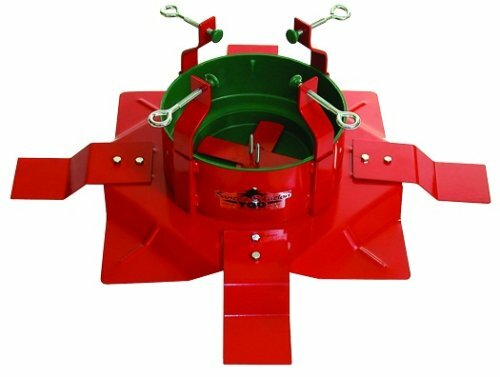 •Holds up to 14' tree with maximum trunk diameter 8"
If you have any questions about this product by Christmas Mountains Mfg Inc, contact us by completing and submitting the form below. If you are looking for a specif part number, please include it with your message.